Replenish your underwear drawer with our Yeats boxer trunks from Ben Sherman which arrive in a handy 3 pack set. 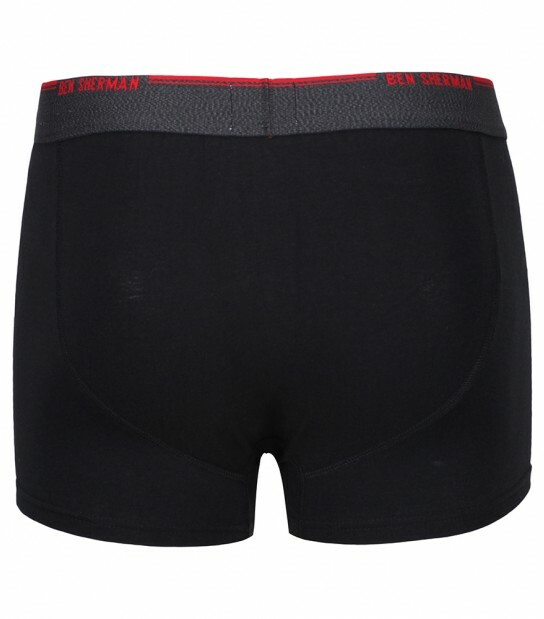 The set includes 3 pairs of boxer trunks, 1 with a Charcoal/Yellow waistband, 1 with a Charcoal/Black waistband and 1 with a Charcoal/Red waistband, each waistband is then finished with the Ben Sherman branding. Crafted from soft cotton blend material, these boxer trunks aim to provide you with all day comfort.